• What is the responsibility of the individual in a complex and rapidly changing world? • What is the good life? Why, conversely, do humans suffer? • What is the meaning of justice? Do laws ensure justice for everyone? • When is war justified? What are its consequences? • What is the best form of government? What rights and obligations define citizenship? • How should humans interact with animals and the world of nature? In addition, these ancient societies grappled with the meaning and form of a range of social differences such as gender, class, race, religion, and sexuality, differences that led, in some cases, to harsh systems of inequality and brutal phenomena like slavery and human trafficking. Positioning the study of ancient Greece and Rome within its broader Mediterranean context, while also examining the legacy of these cultures in later centuries, the Department of Classics at Miami integrates study of language, literature, art and archaeology, philosophy, history, political theory, law and religion in challenging our students to explore the complex world of classical antiquity on its own terms while they acquire the skills to think more critically about the world today and their own place within it. 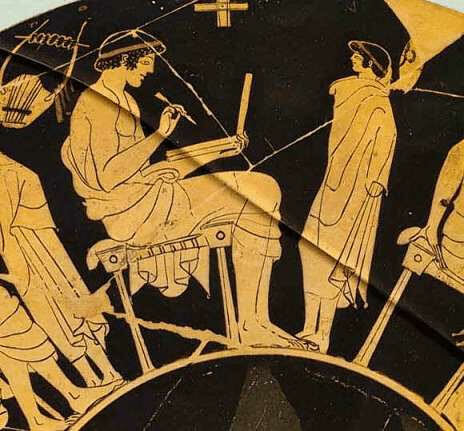 The Department of Classics will be offering beginning Greek again in the fall of 2019! Learning ancient Greek gives you direct access to major works of literature, religion and philosophy. Learning ancient Greek also helps you build important skills in critical analysis and memorization, while allowing you to learn word roots that are key to many fields of modern study, especially medicine. Did you know that Dr. Steven Stack, president of the American Medical Association (2015-2016), studied Latin and Greek as an undergraduate? If you are interested in starting ancient Greek or learning more about our program, we’d love to hear from you. Please contact Dr. Steven Tuck or Dr. Deborah Lyons. This coming summer, Miami students will join Dr. Emily Holt on her archaeological field project located on the beautiful Italian island of Sardinia. 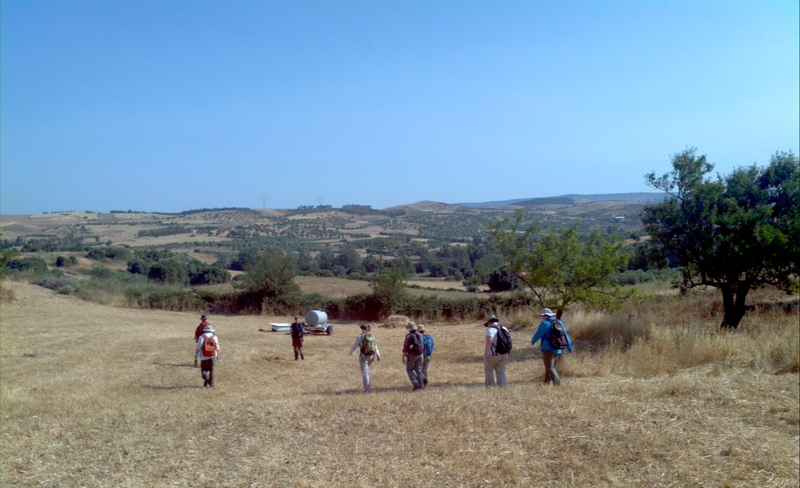 Dr. Holt directs the Pran’e Siddi Landscape Project, an archaeological survey that studies how the Bronze Age Nuragic Culture (c. 1700-900 BCE) used social and ideological organization to adapt to changes in their water supply. Want to join the team? Click for more information and application procedures. Read more about the program in the department's news article. Quomodo te iuvare possumus? How can we help you? The Department of Classics is proud to support the work of Ohio teachers by offering a range of outreach lectures and workshops. Please contact Dr. Steven Tuck to set up a campus visit or Skype presentation. Katie A. Paul is the “Digger” of ArchaeoVenturers. She is an Anthropologist and Archaeologist with a focus in the Middle East/North Africa (MENA) region. Katie has worked to advocate for preservation of history in the MENA region since she began her career at The George Washington University. "I really credit the excellence of the Classics Department's advising process for helping me identify early the experiences that I needed as an Undergraduate in order to be an attractive candidate for a program like Bryn Mawr's and an excavation like the Agora." Chris Dobbs earned B.A.s in Classical Humanities and Classical Languages from Miami University in 2011. "I graduated from Miami in 2003 with a degree in both Classics and Ancient Greek. While at Miami, I had the great fortune to study abroad in Florence, Italy and took a number of independent studies, including courses on Latin Epigraphy and Greek Palaeography in the Classics Department." "I finished my undergraduate degree at Miami University in 2005, majoring in Classical Humanities and triple minoring in Medieval Studies, Art History and Architecture, and Anthropology." Troy is currently a high school Latin teacher at Mill Creek High School in Hoschton, Georgia. He is teaching Latin I, II, and III this year. Katie has spent four years as the Steinmetz Family Foundation Museum Fellow at Corinth Excavations in Ancient Corinth, Greece. Her work in this tiny, traditional Greek village leads back to her discovery of Classics in the small town of Oxford, Ohio. Earning her degree at Miami helped get her into Officer Candidate School.